The King of the Range Inside Style # KRI IWB is an inside the waistband holster with a Kydex front and alcantara back. 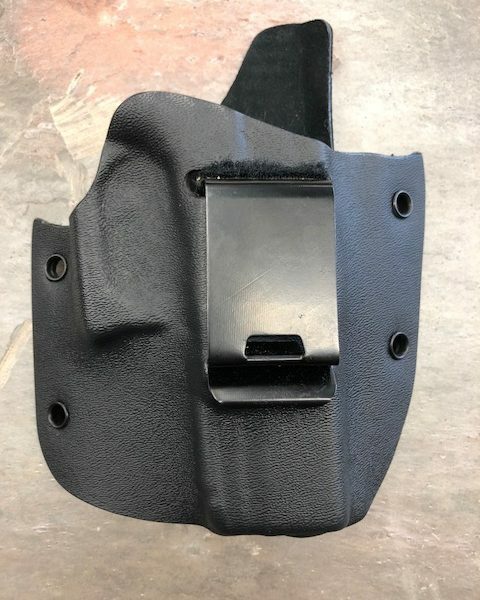 The alcantara back helps to push the weapon firmly into the kydex front. 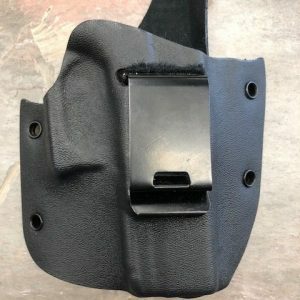 The Kydex front is kept open for quick and easy re-holstering. 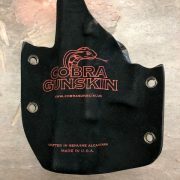 This holster is designed with a high flat back for comfort and to guard your weapon from perspiration. The KRI features brass and stainless steel hardware along with a spring steel locking clip. 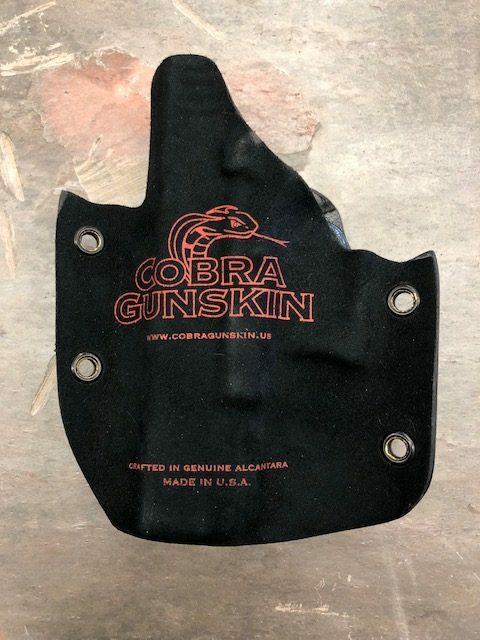 This holster is designed for a close fit, which maximizes concealability. 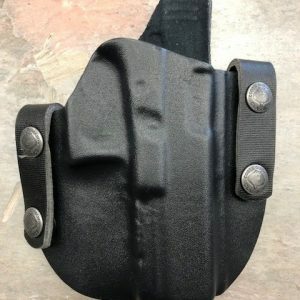 As the majority of our holsters are, this holster is custom molded for the perfect fit. 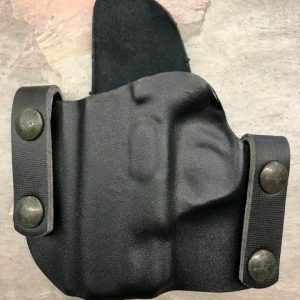 It provides the ultimate grip while still allowing a quick, smooth draw. 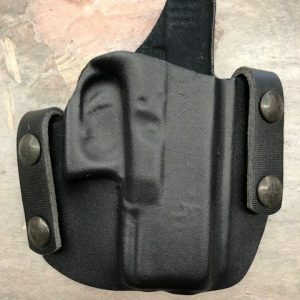 For the most polished look this holster has burnished edges.